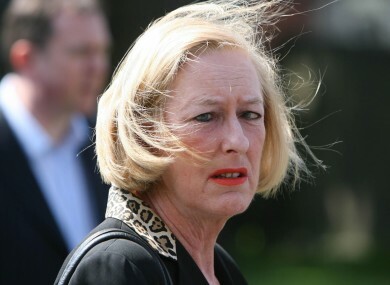 Irish Times editor Geraldine Kennedy was paid €319,000 last year - down €80,000 from 2008. THE IRISH TIMES’ parent company, The Irish Times Ltd, has reported an after-tax loss of €27.9m for the 2009 financial year, after turnover fell by almost a quarter. Circulation of the newspaper fell slightly over the year, but the significant fall in turnover is largely attributable to the significant slump in advertising revenue, which dropped by a staggering 42.5% on 2008 as the economic slowdown fell. The newspaper itself made an operating loss of €4.6m over the year, compared to an operating profit of €6.4m in 2008. Much of Irish Times Ltd’s losses can also be put down to “exceptional costs” of €19.3m, including €8m in ‘reorganisation’ and €8.5m of an impairment on the property website MyHome.ie, which is owned by the company. Payroll costs had fallen by €9m on 2008. Its executive directors were paid €3.1m over the year, including a voluntary €1.1m payment to former managing director Maeve Donovan who retired in February. Editor Geraldine Kennedy was paid €319,000, having taken a 20% pay cut from her 2008 salary of €399,000 as part of a company-wide pay cut programme. The company’s new MD, Liam Kavanagh, told the Irish Times itself that the company’s new ‘e-paper‘ – which replaced the ‘Today’s Paper’ function on the website on March 18th – had achieved daily sales of 1,500, and that its iPhone app (€1.59) had been downloaded more than 30,000 times. The MyHome.ie website was also “profitable” and all of the Times’ digital subsidiaries would be making profit by the end of 2010. Email “Irish Times loses €27.9m after ad revenue crumbles”. Feedback on “Irish Times loses €27.9m after ad revenue crumbles”.